My clothes were clean but after a while I would notice a faint smell that just wouldn’t go away. Maybe it was time for new clothes? I even added vinegar and that did help a bit. 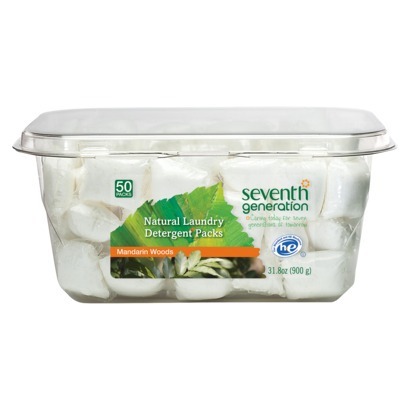 One day I was at Target and saw the Seventh Generation Laundry Packs. They were on clearance and I decided to buy one box. I used them to wash my running clothes and let me just say that they’re no longer stinky. I purchased the Mandarin and Sandalwood which left a clean, light scent on my clothes. I finally found something that cleans my clothes and makes them smell good. Each box is about $15 for 50 pods which comes out to $.30 each. Not a bad deal at all. What do you use to wash your running/workout clothes?